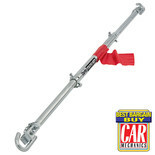 Ideal for towing cars and light vans, this two tonne capacity towing bar also features a sprung damper for reduced shock loading. 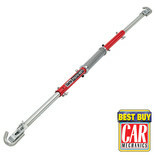 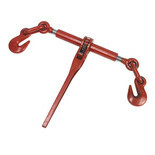 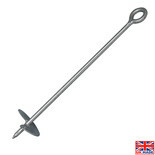 This two tonne capacity tow bar is ideal for the safe and secure towing of most cars and light vans. 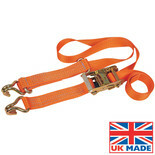 Manufactured to TUV/GS standards, it also shortens for convenient storage. 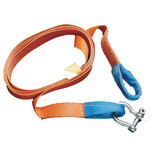 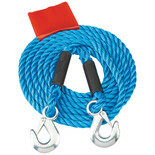 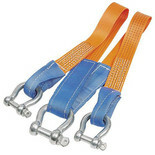 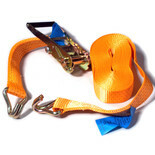 A webbing towing bridle that comes complete with two 5/8" towing shackles for attaching to vehicle tow points and a ¾" shackle that will connect to most winch hooks. 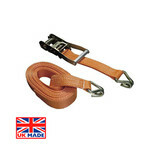 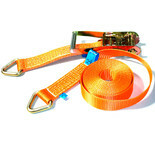 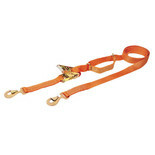 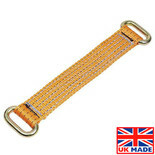 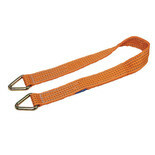 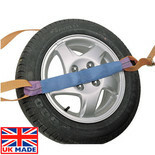 This heavy duty strap, with metal delta links at both ends, enables a recovery winch hook to be safely & securely attached to vehicles that otherwise have insufficient towing points.